President Edgar Lungu has accorded a state funeral to late Peter Chintala who was a former cabinet minister in the MMD regime. Acting Secretary to Cabinet, Patrick Kangwa has disclosed in a press statement issued to ZANIS in Lusaka this evening. The late Dr Chintala died on Monday February 11, 2019 after undergoing medical treatment at Coptic Hospital in Lusaka. Mr Kangwa stated that, President Lungu has since declared Friday, February 15 as a day of national mourning. The acting Secretary to Cabinet said during the official funeral, all activities of entertainment nature both on radio and television will be suspended and flags will fly at half-mast to allow for mourning and burial of the late minister. The late Dr Chintala served in late President Frederick Chiluba’s regime as minister of Youth and Sport having also served as deputy minister for youth, sport and child development as well as for religious affairs. He also served as Kabushi Member of Parliament in Ndola from 1992 to 2001. The former minister who also served as Zambia’s Ambassador to Russia in late President Levy Mwanawasa’s administration, will be buried at Leopards Hill Memorial Park in Lusaka. 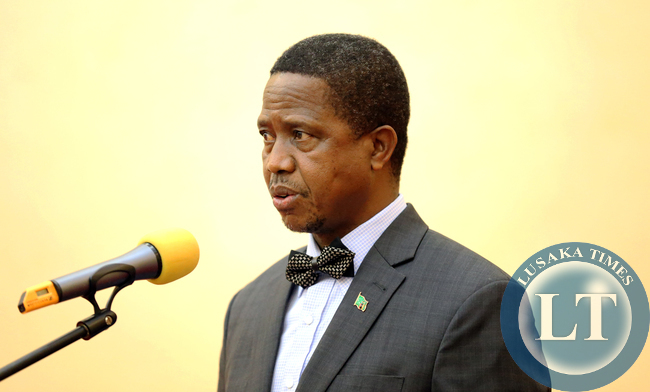 President Lungu thanked for according the Late Chief Sinazongwe a dignified funeral. Previous articleDon’t sell ZCCM-IH shares, SARWatch pleads with Zambian Govt. But the picture you put is not for the one being honored with state funeral. State funeral, state money, mo money in there pockets, “let the dead bury there own dead” just quoting the Bible. May his family know the Lord’s consolation. Sad, I knew him well and his family. He used to be my pastor when I was very young in Ndola. Condolescence and may his soul rest in peace. We have no fixed policy in this country that dictates who should be accorded a state funeral. Everything is up to the whims of the president.